The variable? 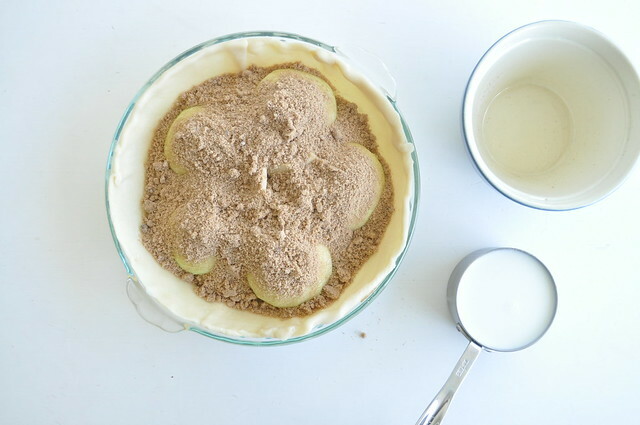 How best to make that apple pie. Here is another take that was insanely easy and will absolutely be repeated again and again in our house. 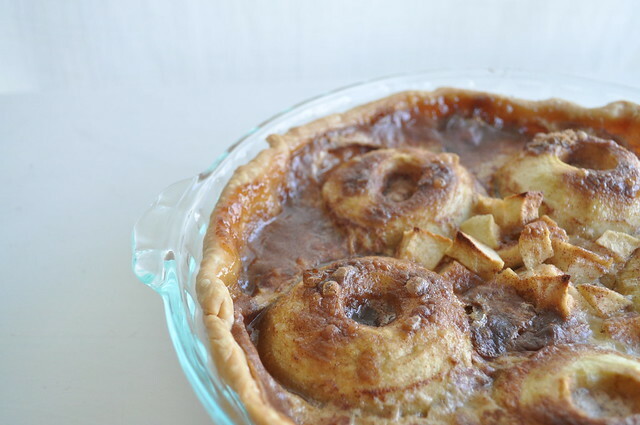 I love that the apples are simply cut in half, there is a filling that you can throw together in seconds that differs from the classic, butter+cinnamon+sugar equation. 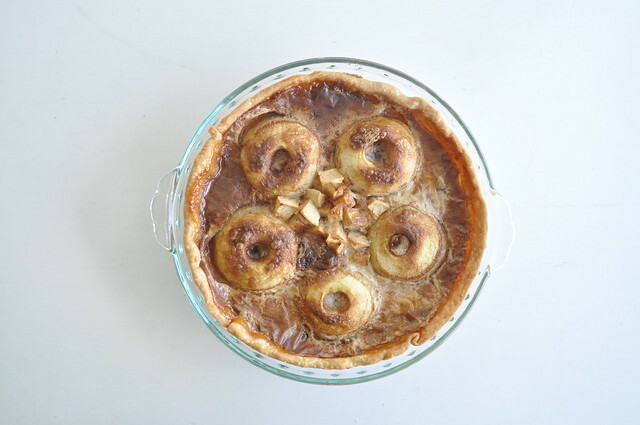 Give this a try, along with Bill’s Apple Pie and Sour Cream Apple Pie. Your Thanksgiving table will be happy to have all of them on board! Mix the dry ingredients in a bowl until blended. 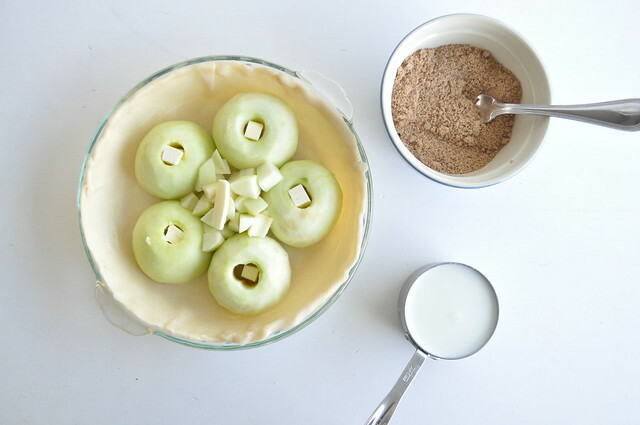 Place apple halves into the unbaked crust. (If you don’t have enough room for the 6th half in the middle simply chop it up and put the chunks in the middle, see pic below.) 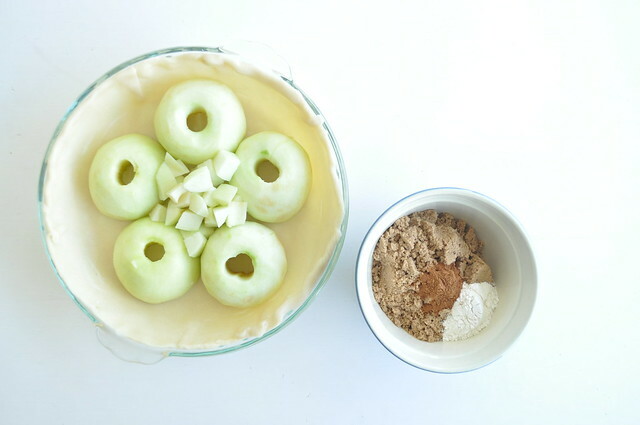 Add a small piece of butter in the center of each apple. 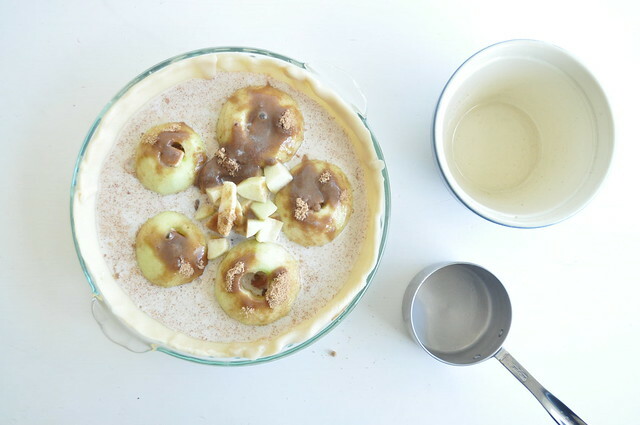 Sprinkle the dry ingredients over the top of the apples, then pour the milk over the top. Bake for 55-75 minutes until liquid has thickened. Apples in the pan, I couldn’t squeeze that last one in so I was creative with the chop. Feel free to do the same. Small bit of butter in the apples and the dry ingredients are stirred. …and follow it up with the milk. Everything comes together perfectly in the oven so don’t worry about the looks at this point. This pie slices beautifully! A la mode is always an option but I preferred it solo. 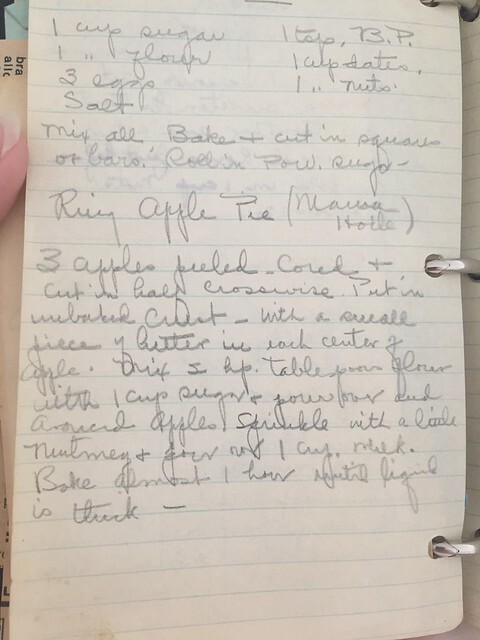 Is apple pie coming to your Thanksgiving table this year?